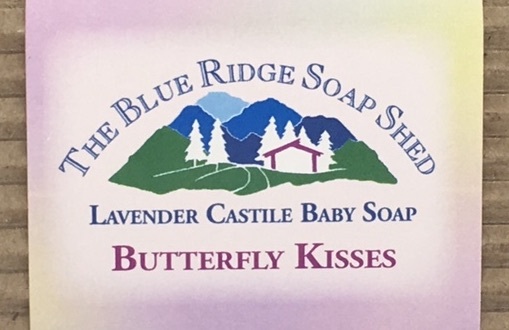 Lavender Baby Soap made with 100% Olive Oil for a gentle Castile soap base. Lightly scented with Lavender Essential Oil for newborn baby skin, and for those who want the gentlest baby soap as well as a hint of gentle scent. 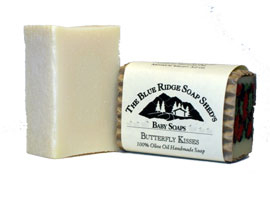 Our Butterfly Kisses Lavender Baby Soap is a 100% Natural Handmade Soap. We make our Lavender Baby Soap differently than our other soaps, and we make it specifically for a baby's sensitive skin. When we say this soap is lightly scented, we mean we make it half the strength of our other Lavender soaps. And yes, this soap is named to evoke the same warm and wonderful memories of that great country song! We make our Lavender Baby Soap Soap with 100% Olive Oil for those allergic to soap or with sensitive skin, or with special skin needs. A true Castile soap is always 100% Olive Oil, not 'mostly' Olive Oil. It is pure white and always softer than other soaps because it contains none of the other oils which contribute hardness to a bar of soap. The gentleness of olive oil and its ability to act as a humectant and draw moisture from the air to your skin makes Castile soap wonderful to use. The bubbles are low and plentiful. 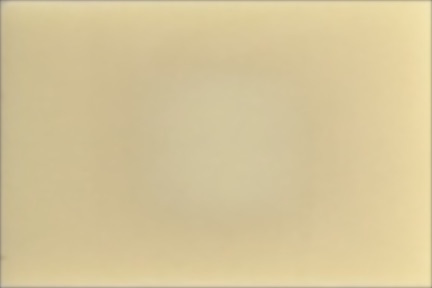 Castile Soap has a luxurious reputation, not just because of its quality, but because of its history as well. Castile Soap was originally created in Castile, Spain, in the Mediterranean where Olive Oil has always been plentiful. Castile Soap was originally made for the Queen of Spain in Castila, and Castile Soap is often still thought of as the Queen of Soap. It has sometimes been spelled Castille. Castile Soap has more frequently been made available as a liquid soap because it is difficult to make and sell in bar shape (it takes so long to harden enough to even cut or handle.) And now, some more technical information about Olive Oil Soap from Dr. T.
Olive Oil is a single mono-unsaturated oil with a chemical structure allowing a greater gentleness than in multiple oil formulas. Olive Oil is hygroscopic, acting as a humectant, which means it pulls water vapor from the air and traps it gently against your skin, without there being a film or any real awareness that this natural effect is happening. It's like having a blanket of moisture nourishing and softening your skin all day long. Castile Soap sounds wonderful, doesn't it? And it is! It's interesting to note that if you simply leave a bar of olive oil soap on your soap dish during the day you will likely come back in the evening to droplets of water on the surface of the soap. What your soap has been doing all day is drawing moisture from the air to itself. Try that experiment on your own, and that will show you what an Olive Oil Castile soap can also do for your skin each day.